Here is another product designed and manufactured by a brilliant New Zealand company called Cavity Sliders. This lock has pure form and function. It uses a 3 pin tumbler cylinder, effectively allowing pocket doors or cavity sliding doors to be key lockable as well as having the hardware slide effectively into the cavity. (source...) Thanks to Cliff Forrester, general manager of J. Larsen & Co in Queensland Australia established 1917. Cliff Forrester is a veteran career locksmith who is considered an industry stalwart. His knowledge and expertise spans multiple generations and product lines. 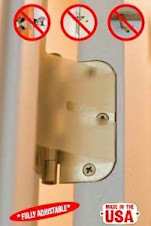 Many inquiries I receive are from people requesting hardware to effectively secure their sliding pocket doors. There are very few products in the USA that achieve this without considerable expense. Luckily for us, a forward thinking company from Australia have already produced a competitively priced key locked pocket door lock that is simple to install and looks good too. The Cowdroy P697 Cavity/Pocket Door Lock, is secured using a 5 wafer (disc) tumbler mechanism, providing a 100% bump proof lock. Finally! Someone has done it. They created the perfect office accessory. How often is it, that you are required to weigh a parcel or letter to determine the cost for postage/cartage (delivery)? As a supplier of product across the country, I find it a constant challenge to accurately determine shipping costs. 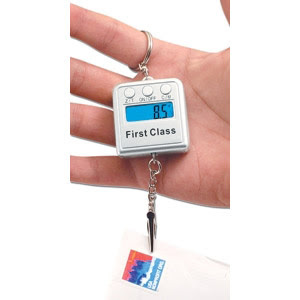 Now with the Keyring Scale, the task of correctly determining weight just got so much easier and convenient. I am humbled again by my customers who nominated me to receive the 2009 St Louis Award. "For the second consecutive year, I am pleased to announce that Master Key Systems America, LLC has been selected for the 2009 St. Louis Award in the Locksmiths & Keys category by the U.S. Local Business Association (USLBA). Nationwide, only 1 in 70 (1.4%) 2008 Award recipients qualified as 2009 Award Winners. I'm sure that your selection as a 2009 Award Winner is a reflection of the hard work of not only yourself, but of many people that have supported your business and contributed to the subsequent success of your organization. Congratulations on your selection to such an elite group of small businesses." Also, a copy of the press release publicizing the two-time selection of Master Key Systems America, LLC is posted on the USLBA website. USLBA hereby grants Master Key Systems America, LLC a non-exclusive, royalty-free license to use, reproduce, distribute, and display this press release in any media formats and through any media channels." A novel new approach to securing your valuables remotely. You may be at the beach or on a picnic or simply out for a walk and require to store your keys or wallet or sunglasses or mp3 player from prying hands. Enter the Yelpie - Portable Safe. Yelpie's advanced motion sensor alarm works to keep your valuables exactly where you left them, while being smart enough to know what's an accidental bump and what's an attempt to steal your belongings. If a thief attempts to move your Yelpie, a loud 90dB alarm goes off! The Yelpie is large enough to comfortably fit car and house keys, wallets, MP3 players, mobile phones, sunglasses or other small valuables - but even items too large to be placed inside the Yelpie can be left in public more securely by tying them to the Yelpie: if somebody tries to walk off with your surfboard, the Yelpie alarm will activate! Perfect for use at the beach, picnics, sporting events, training grounds, swimming pools, gym, school or work lockers, golf course, camping, motor homes, caravans, or when taking the kids for a play in the local park. 1. Put your belongings into Yelpie. 2. Close and set the alarm. 3. Alarm activates if disturbed for more than 2 seconds. Alarm will automatically cease if Yelpie is put down and left alone again. 4. To deactivate the alarm and open the Yelpie portable safe, enter your personal code using the Yelpie's strong and weatherproof keypad. No keys to be lost!. Many searches lately seems to be from people who are concerned about Lock Bumping. In the USA, there are many advertisers who try to portray their products as bump proof or bump resistant. The truth be told, there are only two (2) 100% guaranteed bump proof locks available today in the USA. Bilock and Abloy. 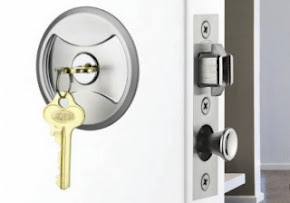 The new Kwikset Smart Key system is considered almost completely bump proof too, however there are many published bypasses for these locks so be aware before relying on them to secure your homes. 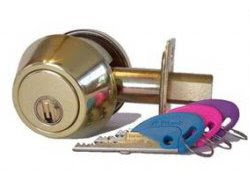 Other locks that cannot be bumped include, all wafer/disc tumbler locks including automobile locks, motorcycles, recreational vehicles, boat ignitions etc. The bumping principle works on all pin tumbler locks that use pin stacks. A pin stack is found in standard pin tumbler mechanisms, like Yale, Schlage, Kwikset, Corbin Russwin, Titan, Defiant, Baldwin, Lockwood, Byrd, Medeco, Mul-T-Lock etc. 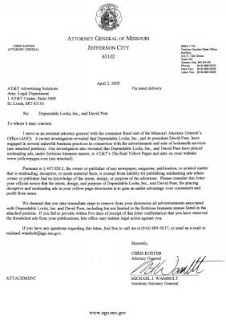 Recently, we reported here about the Missouri Attorney General suing Dependable Locks Inc, their listed principal David Peer and their host of fictitious business names and addresses. We have sourced copies of letters written by the Missouri Attorney General's department that were hand delivered to AT&T. We now include a copy of the original letter that was hand delivered to AT&T in St Louis. If you click on the picture you will be able to read the exact document that was presented. Suffice to say, this is indeed a great day for the locksmith industry in Missouri. The Missouri government has acted to protect it's residents and legitimate locksmith service providers. Whereas this is just the beginning of one front in the war against unscrupulous companies preying on consumers, perhaps it should be seen as notice to all other similar mediums to tighten their business practises and verify the listings in their publications, both printed and electronic, prior to publication. This effort by the Missouri government shows that some governments of the people, by the people and for the people, can achieve noteworthy and respectable results without the need to practise licensing of trades or other implicit revenue generating programs that can and are, not being enforced by other states in feeble attempt to rid themselves of these fraudulent companies. The great states of Illinois, California and Texas actively pursued licensing of locksmiths as their attempt to purge their states of unscrupulous marauders, only to find that the lack of enforcement and the subsequent applications for licenses by representatives from the aforementioned companies, substantially reduced any perception of protection for their residents and legitimite locksmith service providers. These states, effectively have made the conditions for existing legitimite locksmith companies, more mired in red tape and bureaucratic bungling and caused the public to be subjected to higher service prices and charges as a result. The clear and present action, as shown by the forward thinking Missouri government, is to combat the mediums who allow these companies to procreate and indirectly take advantage of the residents and citizens of Missouri. Congratulations Chris Koster - Attorney General and Jay Nixon - Governor! We are attempting a new post to include the latest crime statistics report broken down by neighborhood from data compiled and published by The St Louis Metropolitan Police Department. The intention here is to inform residents of the different neighborhoods as to the types and quantities of the various crimes being committed, to help their decision making processes for better securing their families, residences and properties. All information is sourced from publicly available records. We will list the total quantities of crimes by suburb. The crimes included are: Burglary, Arson, Larceny and Theft, commonly known as Property Crimes. 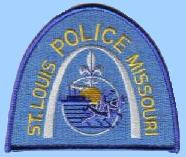 For more accurate and detailed statistics we suggest visiting http://www.slmpd.org and clicking on the Crime Stats tab. 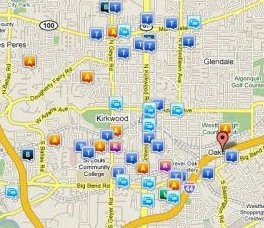 This months crime reports statistics is from data compiled by the Oakland MO police department. We are also about to include data on crime reports by neighborhood as compiled by the St Louis Metropolitan Police Department. We have noticed a significantly increased interest is crime statistics in our region and we hope that these statistics help to educate people as to the goings on in their neighborhoods. Due to overwheming demand for the best BUMP PROOF deadbolt available, we have ended our special pricing from the last month. Our thanks to the many requests for this quality product. We anticipate more specials in the coming months. Check out the new July Special! BioAxxis Development Corporation has spent the last 18 months designing, developing and patenting the next revolution in biometric fingerprint door lock technology - the BioAxxis® ThumbLock™. We have reformulated the concept of what a fingerprint lock should look like and simplified access so that the biometric sensor is now located conveniently below the handle - at your thumb. 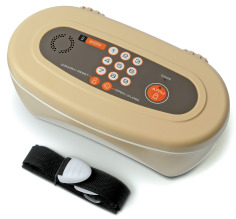 The BioAxxis® ThumbLock™ was designed for a wide range of applications. 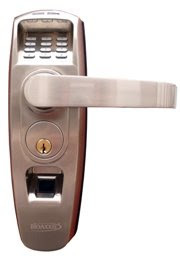 For the high-end residential consumer, this biometric door lock puts all the others to shame. While beautiful and aesthetically pleasing, don’t be fooled. 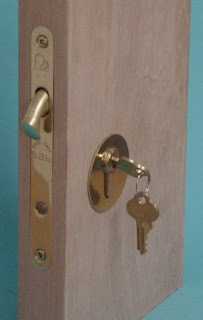 The ThumbLock™ is a security system on your front door, providing you with a highly sought after lifestyle improvement. It can be installed indoors or outdoors with no concern for rain, snow, dust or humidity. You can transform your world from “care free” living to “key free” living with the ThumbLock™ and become the envy of your neighborhood. Think of the applications…. The AT Upgrade (coming June 2009) will work by downloading audit trail records to a 1GB flash drive. Easy to use Audit Trail software based in MS Access will be included in this package as well. The PCMU™ (PC Management Upgrade - coming June 2009) will also be available to centrally enroll fingerprints in your PC with a fingerprint scanner and manage each individual user's rights per lock as though the ThumbLock™ was a full-blown access control system. You will not believe the feature enhancements this will provide! You can then upload that programming information to the flash drive to program all your ThumbLocks. And you can still download your Audit Trail data using the flash drives. Available at Master Key Systems America, from June 2009. Master Key Systems America LLC/Locks210.com prefers to deal in Bioaxxis products because of their superior design and quality. Having investigated multiple products, we have found that the Bioaxxis product line offers the best security and value for money. A Florida-based locksmith company has been gouging customers in St. Louis and elsewhere for about a year, Missouri Attorney General Chris Koster said Friday. Koster has sued Dependable Locks Inc., and its registered agent, David Peer, of Dunedin, Fla., for seven violations of state law. He is asking a judge to order the company to stop doing business in the state and grant each victim $1,000 per violation. At a press conference in St. Louis on Friday, Koster said about 30 people have complained to his office about the company, which operates under 16 different names in the phone book and on yellowpages.com. When customers called the businesses, which they often believed to be local, they were routed to a call center in Florida, Koster said. The call center would quote a price to fix or open a lock, and then dispatch an employee to a vehicle or residence. The promised price was often about $50. "When they arrive 30 minutes later, they say, 'This looks like a difficult lock and it's going to be at least $150, and we need it tonight in cash,'" Koster said. The company also listed false addresses with the phone company, according to Koster. At the press conference, he was flanked by pictures of an AT&T office in St. Charles, a St. Louis woman's home and a Captain D's restaurant. All were places the company had given as addresses. "If a customer wants to go and complain to this business, they can't go and find it," Koster said. Messages seeking comment from the company were not returned. Koster also is asking that AT&T disconnect the numbers that Dependable Locks has used and for the phone company to remove all the listings from the Internet. Given how many names the company has used, Koster believes there are thousands of victims. 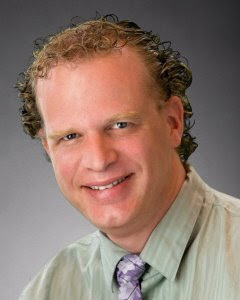 He urged anyone who thinks they may have been a victim to contact his office (visit ago.mo.gov; or call 1-800-392-8222). Koster did not know how many employees the company has in the area or how they have been recruited. He said his office is still determining "who we intend to drag into court."